This is the fifth in the Running Warehouse series of pub runs. 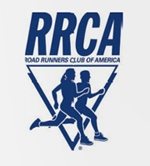 There is no registration fee and the runs will be 3-4 miles (untimed). Each run will have a shoe sponsor offering the opportunity to test out their latest footwear and the run will be followed by a raffle and refreshments. Tonight’s run is hosted by Brooks and takes place at Quality Suites at 1651 Monterey Street in San Luis Obispo. For more information, e-mail retail@runningwarehouse.com or 805-548-2049.